no matter the season before us. reaching for the blackest ink. a lie I stand to mend. 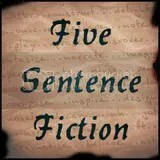 Written for Five Sentence Fiction. Go check it out and write one of your own! Grace, this is lovely! Worthy of awards…thank you for thawing what you perceive as a mind limitation. Aw, thank you for your lovely words!! Thank you, kindly! Glad you stopped by to read.